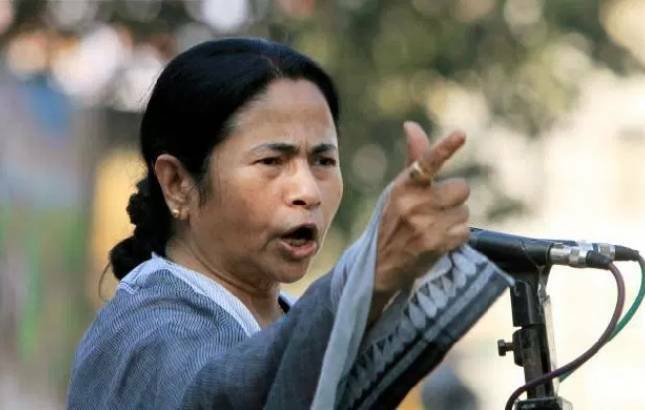 In the backdrop of efforts to unite regional parties to take on the BJP, Mamata on Monday said their target was Delhi and the Red Fort and asserted that the saffron party will never succeed in efforts to win West Bengal. Efforts to stich a non-Congress, non-BJP front appeared to be gaining momentum with the Trinamool Congress chief reaching out to the DMK, even as Telangana Chief Minister K Chandrasekhar Rao continued to receive support for such a proposal. In the backdrop of efforts to unite regional parties to take on the BJP, Mamata on Monday said their target was Delhi and the Red Fort, and asserted that the saffron party will never succeed in efforts to win West Bengal. BJP President Amit Shah had said after the party’s win in Tripura that its golden era would be when it wrests West Bengal, Odisha and Karnataka from rival parties. “Some are saying that the BJP’s next target is Bengal. But for the sake of the country we have set our target on Delhi, on Lal Quila (Red Fort),” she told a public meeting in Purulia, indicating that Trinamool Congress would play a major role in national politics. “Delhi Chalo... Lal Qila Chalo... We believe in Netaji (Subhas Chandra Bose’s) slogan. Bengal will not bow down to anyone”, she said. Apart from Mamata, Former Chhattisgarh chief minister Ajit Jogi has also spoken to Rao over phone and expressed support for the plan to float a Third Front-like formation, the Telangana chief minister’s office said in Hyderabad. Rao, the leader of Telangana Rashtra Samiti (TRS), had said two days ago that he was keen to engage himself in national politics to bring about a “change” and was in talks with others to form a platform of like-minded parties. Several leaders, including West Bengal Chief Minister Mamata Banerjee, AIMIM chief Asaduddin Owaisi, former Jharkhand chief minister Hemant Soren of the Jharkhand Mukti Morcha (JMM) and two MPs from Maharashtra, have extended support to Rao’s proposal. The BJP and the Congress slammed the efforts of the Telangana chief minister. Rao’s office said he was planning to initiate a consultation process from a national perspective to take his idea forward. The Telangana chief minister’s idea is that all those who have been thinking about the nation in various ways are to be made participants in the process of qualitative change in politics, his office said in a press release. “To begin with, the chief minister will meet retired IAS, IPS, IFS and IRS officers, who were part of the administration of the country at various levels and have had a lot of experience,” the release said. As these retired officers have seen political developments closely at state and all-India levels, Rao felt that meeting them would be highly useful, it added.